Much has been made of the fact that John Travolta’s long-gestating passion project Gotti has received a 0% on Rotten Tomatoes – pitching a “perfect Bucky Larson,” if you will. Frankly, such claims are a bit misleading. I’m not saying that this is a good film – it is hands down the worst of the year. I do, however, believe it is unfair to speak of it in the same breath as Bucky Larson. That film is objectively the worst ever made. Gotti is something more. It exists in a special plane of existence, matching The Room and Troll 2 in terms of spectacular, hilarious buffoonery; except this time the creators are seasoned veterans of the craft as opposed to scrappy amateurs. No, Gotti should not be condemned for its crimes against cinema; it should be celebrated as a unique and wholly entertaining demonstration of absolute incompetence. The film is kind of about John Gotti (John Travolta), the one-time head of the Gambino Crime Family, and the ups and downs of his tenure at the top. Or maybe it’s about his son, John Gotti, Jr. (Spencer Lofranco) and his own dabbling in the mob before his exoneration in 2010. Or maybe it’s about both of them, and about a father’s legacy for his son and his last advice before he passes on. I honestly don’t know, because the film can’t pay attention to the g*damn story long enough to pick a theme and stick with it. But guessing what it’s about sure is fun, though. It’s incredibly difficult for me to get across to you all how bafflingly, insanely terrible this movie is, from start to finish. I mean, just look at how the film chooses to portray John Gotti. Historically speaking, John Gotti was mostly just a face for the mob; he wasn’t particularly a good gangster, he was mostly just a bumbling oaf that enjoyed being a celebrity (my favorite story about him is when he used his clout to close down a diner just so he could tell Rob Reiner that The Princess Bride was his favorite film). While the film occasionally touches on the celebrity side of Gotti’s life, it never really explores it – hell, he’s not even shown in a fancy suit or called “The Dapper Don” until after he’d died in the film. No, instead the film takes a much more strange, hilariously appalling angle on Gotti’s life: that John Gotti was an American Hero. You did not read that sentence incorrectly; this film hypothesizes that John Gotti was a respectable, moral, and upright man, just like all gangsters secretly are. This is made clear from an opening montage of the real Gotti being a “badass,” and that sequence is as funny as it sounds. Of course, the real life montages are nothing compared to the way Travolta portrays Gotti, as if he were some sort of real life superhero. I have seen well over 4000 films in my life, and I have never seen anything as mystifying as a sequence where Travolta’s Gotti stops an organized crime hit in order to help a little old lady cross the street. This is not portrayed as irony; it is not portrayed as humorous. Gotti portrays its mafia crime lord as a man who would willingly stop a hit to help an elderly woman cross the street. From there, the portrayal only becomes more insane. We come to learn that Gotti is a man with a strict moral code. He loves America, and he loves his family. When his beloved son gets in a fistfight in a bar, he laments and scolds him not for drawing attention to the family, but for “ruining his future!” He refuses to “hide who he is,” a “heroic” claim that mostly helps piece together how he was eventually caught. And he never kills a “good” person or gangster – those who find themselves at the business end of his gun or fist are usually traitors or corrupt leaders who succumbed to greed. When asked why he doesn’t trust one of his superiors, Gotti complains that, “He only cares about money!” Imagine that: a gangster who cares about money. What a shock. The entire film plays out as if the cast and crew missed the point of The Godfather, and assumed that all of the people killed actually were untrustworthy and immoral as opposed to that being the lie that Michael and Vito told themselves. It makes sense that this film is directed by Kevin Connolly, because the entire thing feels like an episode of Entourage (or, worse yet, the terrible film-within-Entourage, Medellin): a story about objectively terrible people that the filmmakers bafflingly believe are good and likable. What’s perhaps even more baffling about this portrayal of Gotti is the way it consistently ignores even the basic tenets of facts or understanding about John Gotti, his life, and his actions. I’m not saying that biopics or historical films need to be 100% historically accurate – storytelling is different than reporting, and things often need to be changed to create riveting narratives. However, there is a vast difference between showing a plane getting chased by a fictional car or Winston Churchill randomly showing up in a subway car before giving big speech and completely falsifying and lying about a historical figure’s backstory. A major example is the overarching theme of John Gotti trying to convince his son to avoid taking a plea deal. In fact, it’s a major narrative plot point. Almost every scene between the two of them involves the elder Gotti explaining that “taking a plea deal is cowardly.” These scenes are already insanely juvenile and poorly constructed, but what’s worse is the fact that any person casually researching the Gotti legacy would know that his criminal career started with a plea deal. It’s one thing to leave out facts from the audience; it’s another to completely change them to fit your narrative. Then there’s the portrayal of the death of Gotti’s son, who was infamously run over by a neighbor while riding his motorbike. The film portrays Gotti as incredibly forgiving, insisting through his grief that it was “just an accident,” and that there shouldn’t be any repercussions. This would all be well and good, if it weren’t for the facts of the case, which are referenced in a throwaway line the following scene: that Gotti had the neighbor kidnapped and dissolved in acid (the film tries to imply that Gotti didn’t know this was going on, but…come on). And then there’s the fact that Gotti came to power by performing an unsanctioned hit on his own boss, a detail that confusingly is portrayed as honorable even though it goes against everything the filmmakers believe in. In reality, this action led to Gotti taking control of New York’s crime scene, failing to maintain power, and leaving the criminal underworld in a state of chaos for years. In the film? Gotti’s rise to power was necessary to keep New York safe. And not only that: the film insists that when Gotti goes to jail, and eventually dies, the crime rates go up. That’s right: this film actually hypothesizes that Gotti, a killer and mobster, was responsible for lowering the crime rates. I’m sure there are some racial implications in that statement that could be analyzed by a sociologist, but I’ll settle for the fact that regardless, this is an inexplicably idiotic statement. Perhaps this reading of the situation explains the film’s third act. You see, while the first two thirds of the film have a somewhat understandable format – a rehashing of the Gotti life, rife with inaccuracies, lies, and hilariously bad acting – the third act takes a hard left turn over the rails, off the bridge, and into the ocean. The third act of this film is dedicated to detailing how judges, juries, prosecutors, and police are actually dissipated, incompetent monsters who set out to destroy good family men. This is hinted at early on in the film, where a judge is willing to ignore evidence and make insane rulings in order to bring down a “decent family man.” Such ideas are furthered when Gotti is eventually found guilty and sentenced to life in prison, all while the camera aggressively pans across the jury as if to say “THESE are the real villains” (it’s worth noting that these jurors are mostly little old ladies). Meanwhile, the police get equally horrible treatment, portrayed as more interested in targeting Gotti for non-offenses like shooting off firecrackers than stopping real crime (even though Gotti is mostly responsible for the crimes they’d have to stop). Gotti just defiantly shoots off firecrackers in their face, and they shake their fists while leaving while saying, “Next time, Gotti!” It’s all pretty ridiculous. However, their real mission becomes apparent during the final act, when they portray prosecutors as shady grifters for…placing wiretaps on Gotti’s phones? Catching John Jr. with a list of every gangster in New York and earning the nickname “Dumbfella?” Having about fifty people testify about being hired to execute someone? All of these basic details of law enforcement are portrayed as low and sinister by the Gotti team, so much so that when Victoria Gotti (Kelly Preston) leaves her son’s trial, she declares, “The government; they’re the real gangsters!” Yes, that is the type of philosophical musing you can expect from Gotti: a film where the people of New York cheer for Gotti, mourn his death, protest his “mistreatment,” and where the only true crimes are the fairly average deals prosecutors cut in order to prove the Gotti family’s corruption. It has nothing to do with the rest of the film, it is the sole focus of the final third and end credits, and it somehow sums up everything wrong with this film in spectacular fashion. Of course, Gotti isn’t just a thematic failure. Oh no, this film is also a nightmare of storytelling as well. Gotti has not one, not two, not three, but four different story structures; it’s like Wuthering Heights if the seminal novel had been written by a monkey. None of these layers have anything to do with each other, they don’t add anything to the story, and they don’t make a damn lick of sense, but it does allow for a new layer of stupid to shine through for the audience. Let’s break them down one by one. The first framing device is the ghost of John Gotti, who appears in the first and last scene, standing in front of the Hudson River and staring directly into the camera. This, of course, comes after a montage of New York City beauty shots set to cliché mob music, almost serving as an exact replica of the opening to The Room. Things only get worse from there as we move into the aforementioned close-up on Travolta in bad makeup declaring (in the world’s worst New York accent): “New Yoahk is da greatest city in da wohld.” It’s a sequence that makes no sense in terms of the rest of the film, could easily have been cut, and is one of the worst-acted sequences in all of cinematic history, and yet I wouldn’t want to give it up for anything in “da wohld.” From there, we move into the second framing device: the prison conversations. Supposedly, the film takes place in the late 90s, focusing on a conversation between John and John Jr. about the latter’s upcoming trial and potential plea. I say supposedly because these sequences only sporadically and randomly pop up throughout the film, and their conversations rarely lead to the flashbacks that they purportedly inspire. In fact, these sequences are really only amount to two things: every conversation being literally the EXACT SAME (“I wanna take a plea;” “Don’t take a plea;” “I wanna see my family;” “I want that for you;” “So I’m gonna take a plea;” “Don’t take a plea;” repeat), and the moment where Travolta’s Gotti is brought in to meet his son and he is, I sh*t you not, wheeled in wearing the Hannibal Lector mask. Not only that, after he’s wheeled in, he declares, “Ayo, look at the way they’re wheeling me in, like I’m Hannibal the Cannibal or something!” You know, just in case audiences aren’t smart enough to make the connection. Meanwhile, whenever time passes quickly in the film, or whenever Connolly wants us to think Gotti is cooler than he actually is, the film creates fake news reports to show the passing time. We know that these sequences are fake because no news report is actually this on-the-nose or condescending, and the effects they use to age it are ridiculously terrible. And then there’s the flashback, the main bulk of the film’s narrative. Every detail inside this portion of the story is stolen from The Godfather, Goodfellas, or The Sopranos, in spectacular fashion. One of my favorite details is the fact that it is clear that the writers once heard a gangster referred to with “Boy” in their name and thought that was the way all gangsters greeted each other, because every character is referred to as “[Insert Name] Boy.” There’s Johnny Boy, Angie Boy, Willie Boy, Sammy Boy, Bobby Boy, and Frankie Boy. It would be irritating if it weren’t so comical. There’s also the fact that the film quickly introduces Victoria Gotti’s drug habit, only to forget about this development in the exact next scene, not unlike the cancer subplot in The Room. However, if there’s any scene that truly demonstrates just how little this film understands about gangster films, audiences, or life in general, it’s the infamous “boroughs” conversation. Around the halfway point of the film, you may begin wondering what the relationship between the Five Families was like at this time. You see, unlike The Godfather, which never overexplained but made sure audiences understood the differences between the Corleones, Tattaglias, and Barzinis, Gotti ends up giving the audience nothing. We don’t know who mistrusts who, who is the most powerful, or even which family John Gotti works for (I had to look it up after the film to know for sure that it was the Gambinos). I found myself growing frustrated that they never explained it. And then it happened: at one point, John Gotti and his mentor, Aniello Dellacroce (Stacy Keach), discuss how Gotti can take over the underworld. They continue talking about the families, but instead of naming them or discussing their relationship, Dellacroce instead chooses to explain, while counting on his fingers, the Five Boroughs of New York. The Five Boroughs. The most basic detail about the city there is. Which he explains to John Gotti. With visual cues. “You’re gonna need the Five Boroughs. Manhattan. Brooklyn. Queens. The Bronx. Staten Island.” And if all of that wasn’t crazy enough, he then closes his fist, a visual metaphor for claiming power, and explains, “That’s a fist.” I’m not sure this was supposed to be a comical moment, but I do know that it was the hardest I’ve laughed in theaters this year, and I’ve seen almost exclusively comedies. At this point, I’ve written 2500 words about how Gotti is poorly made. But I want to make sure you all truly understand how incompetent this film is, from the top down. There isn’t a single moment of this film that doesn’t scream bad Saturday Night Live skit. Every line is a cliché; at one point Gotti declares, “Titles don’t honor men, men honor titles” (to which I say “You can’t just make things sound smart by saying them backwards”). You could make a drinking game out of how many different ways this film says the phrase “boss”: every other line is, “I’m da boss, you’re da boss, he’s da boss, etc.” Still, I’d rather hear clichéd mobster lines than have to listen to the bizarre original dialogue Lem Dobbs and Leo Rossi have come up with – when Gotti laments his son’s death, he declares, and I quote, “He was only twelve years old. He didn’t even have hair on his prick.” I don’t even have a joke for this line. Meanwhile, Connolly uses every clichéd 70s song known to man to make up the film’s soundtrack, including “Shaft,” “Smoke On The Water,” and “Heart of Glass.” By the time we hear “Walk Like An Egyptian,” the only thought you can possibly have is, “What the f*ck is up with this soundtrack?” Ultimately, it appears that the music has only two rules: it has to be painfully on the nose, like when “House of the Rising Sun” plays during Gotti’s funeral, or when “Come Undone” plays when everything, um, comes undone; and it has to be period specific…or at least period specific other than randomly placing “Fireball” by Pitbull in the middle of a 1985 party scene. Oh yeah, I’m not joking: it goes from Blondie to The Bangles to Pitbull without missing a beat. Still, I’d rather take this collection of songs I know than the score, which honestly sounds like a companion piece to the score from The Room. Meanwhile, the editing is a hilariously shoddy hodgepodge of bad wipes and fades, while the cinematography consistently looks like it is shot through an Instagram filter. Even the basic tenets of filmmaking feel like they have escaped Connolly: there is a fight scene that is so painfully staged it’s laughable, and he even inserts a slow clap into the scene where Gotti is finally named the head of the Gambino Crime Family. It is all so shockingly, hysterically bad, it needs to be seen to be believed. And then there’s the acting. Oh my, the acting. 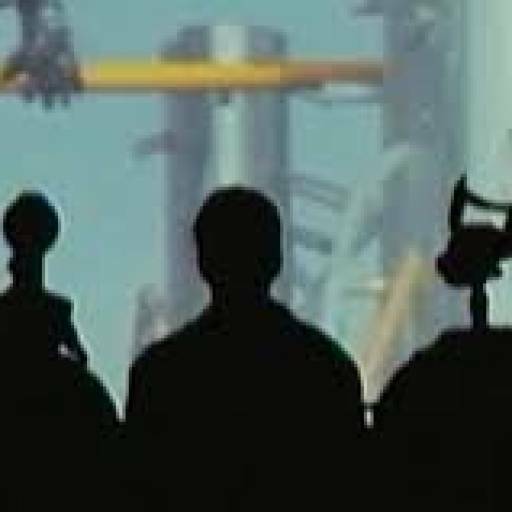 I have seen The Room and Troll 2, Plan 9 From Outer Space and most films in Nicolas Cage’s latter career. Hell, I sat through Bucky Larson. And I can promise you that John Travolta’s performance as John Gotti will go down as one of the worst in all of history. Every character choice is so hilariously, unequivocally bad that it dares the audience not to look away. 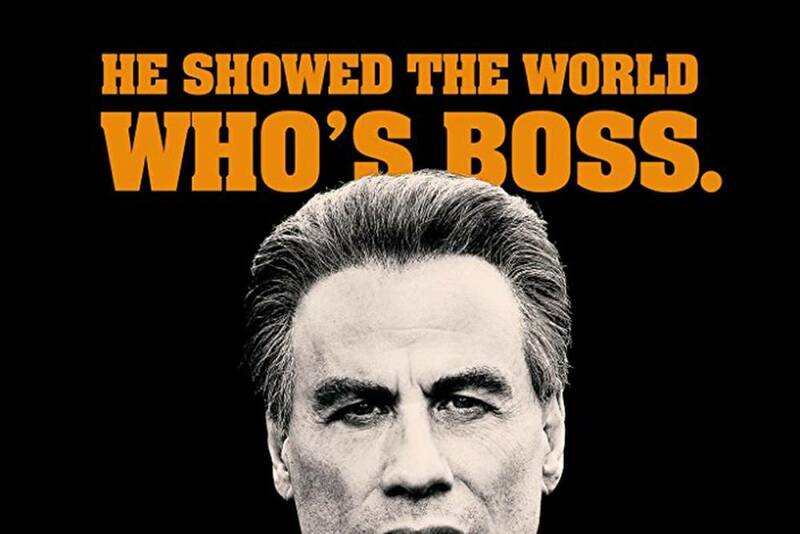 I mean, look no further than the fact that in sequences where Gotti needs to look sad, Travolta does the “look away and bite your fist,” only he somehow manages to screw even that up. Not only that, he consistently drops his New York accent throughout, a miraculous feat considering that John Travolta is from New York. The only kind thing I can say about Travolta’s performance is that it isn’t nearly as bad as Kelly Preston’s, which is one of the most grating, uncomfortable casting choices I’ve ever seen. It’s definitely the worst in this film; it might even be the worst of all time. A good third of my twelve pages of notes are just variations on “My God, Travolta and Preston are bad in this.” Long story short, these two are definitively, legendarily bad in a way I haven’t seen in a long time, and certainly not from a major motion picture. The other actors are varying degrees of unnatural and untalented, from Stacy Keach and Spencer Lofranco to Pruitt Taylor Vince and William DeMeo, but one thing is for sure: nobody in this film will be working in Hollywood again, for better or worse, for a very, very long time. Gotti is a movie for the bros. Every misunderstood crime film, from Scarface to The Wolf of Wall Street, has led to this moment. The only reason it isn’t offensive in its abhorrent nature is how laughably dumb it all is. Every single frame dares you to tell yourself, “This can’t get any dumber,” only to then defy that new level. It is pure entertainment through and through, a new cult classic for the bad movie lovers to pass on for generations to come. I love this film; I revel in its awfulness. Forget the grade and go see Gotti the first chance you get; it is a nightmare that must be seen to be believed, and as baffled as I am by its existence, I cannot help but be tickled pink by its uncomfortable watchability.